Most people don’t like to think about how dirty their carpets are. This is especially true when it comes to automotive carpet. Anyone who’s ever had wood or tile floors in their home can attest to how quickly dirt collects (and starts to show) on floors. That same dirt collects on carpet—it just isn’t as easy to see. That’s why a thorough, professional car shampoo plays a critical role when it comes to vehicle maintenance. Why use car shampoo instead of just vacuuming? While vacuuming is an important step towards keeping carpet clean, it only removes dirt from the top of the carpet. Getting down into the carpet’s pile — and, especially, the carpet’s backing, (which is where gravity eventually deposits most of the dirt) — requires more. 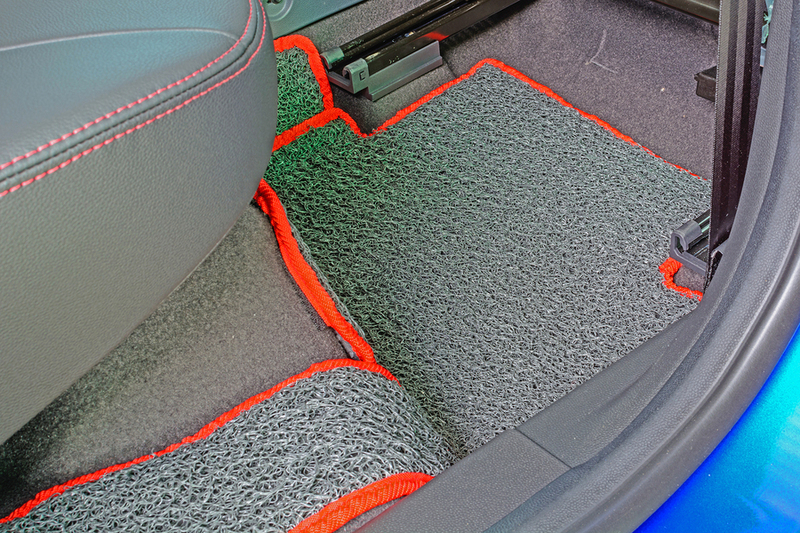 In addition, many of the spills on a cars carpet could cause staining. Finally, if the car has an odor (perhaps from a spill) car shampoo may be the only way to make the car habitable again. When is car shampoo necessary? Any stains or odors are grounds for an immediate shampoo. In both instances, quick action provides the best results. Visible dirt like mud or sand should also be removed with shampoo as soon as possible. Beyond that, a good rule of thumb is to get the car shampooed several times a year—whether it be seasonal (following winter defrosting or a summer vacation at the beach)–and those numbers go up for people who regularly drive with children, dogs, or multiple passengers. While regularly vacuuming at home is great preventive maintenance, most people don’t have the tools or equipment to do a thorough car shampoo at home. That’s why so many choose a car shampoo service like the one offered at Mr. Clean Car Wash.
Like all of Mr. Clean Car Wash’s express detailing packages, the car carpet shampoo detail can be done in 30 minutes. Mr. Clean Car Wash is currently offering a coupon for $5 off any single detailing package. Don’t assume that a carpet that looks clean is clean. Instead, come by Mr. Clean Car Wash today for a professional interior car shampoo.